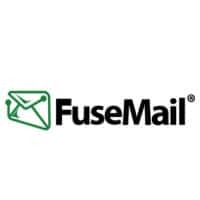 FuseMail®, the email division of j2 Global®, is an advanced managed email solutions provider that, for more than 20 years, has been ensuring the secure and reliable delivery of corporate email messages. Providing email solutions to more than 25 million mailboxes, FuseMail offers a range of cloud-based email security services including sophisticated spam and virus filtering, email archiving, encryption, continuity, hosted Microsoft® Exchange and hosted webmail. FuseMail provides award-winning, comprehensive solutions that are expertly delivered and supported by dedicated teams in Canada, the United States, the UK and Ireland ensuring clients receive optimal performance and guaranteed peace of mind. The FuseMail technical team was assigned the task of collecting email latency statistics on their core mailer. The timing data is confined to the time their mailer spends processing messages (scanning, filtering, and routing). The requirements were that they keep long-term latency percentile data in daily, weekly, and monthly aggregates so that they can report their performance and track it against their SLA, review their software updates and deployments, check for changes in overall performance, and improve capacity planning. The faster they could identify spam and a compromised account or system, the better their email security solutions and customer experience. FuseMail chose InfluxDB because it can store raw metrics, it does not aggregate data on ingest, and it can store multiple fields per row. Each of InfluxDB, Prometheus and Graphite have a place in FuseMail architecture, but for any event logging, FuseMail uses InfluxDB.